Graphcore makes intelligence processor platforms for innovators looking to expand human potential with technology. Graphcore has created a completely new processor that’s the first to be specifically designed for machine intelligence workloads – an Intelligence Processing Unit (IPU) – that will set a new pace of innovation. Graphcore enables machine learning innovators from all industries and sectors to have a platform that’s efficient, flexible and fast – allowing them to bring their ideas to life and to build the products and services of the future. 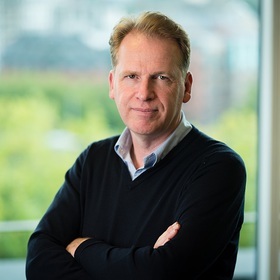 Nigel Toon, co-founder & CEO of Graphcore, was the CEO of two VC-backed silicon companies before founding Graphcore; Picochip, which was sold to Mindspeed in 2012 and most recently, XMOS, in which Graphcore was incubated for two years before being established as a separate entity in 2016. Prior to that he was co-founder of Icera, a 3G cellular modem chip company, where he led Sales and Marketing and was on the Board of Directors. Icera was sold to NVIDIA in 2011 for $435M. Prior to Icera, he was Vice President and General Manager at Altera Corporation where he spent 13 years and was responsible for establishing and building the European business unit that grew to over $400m annual revenues. He is the author of 3 patents, is chairman of the board of directors at XMOS Ltd and a non-executive director at Imagination Technologies PLC.